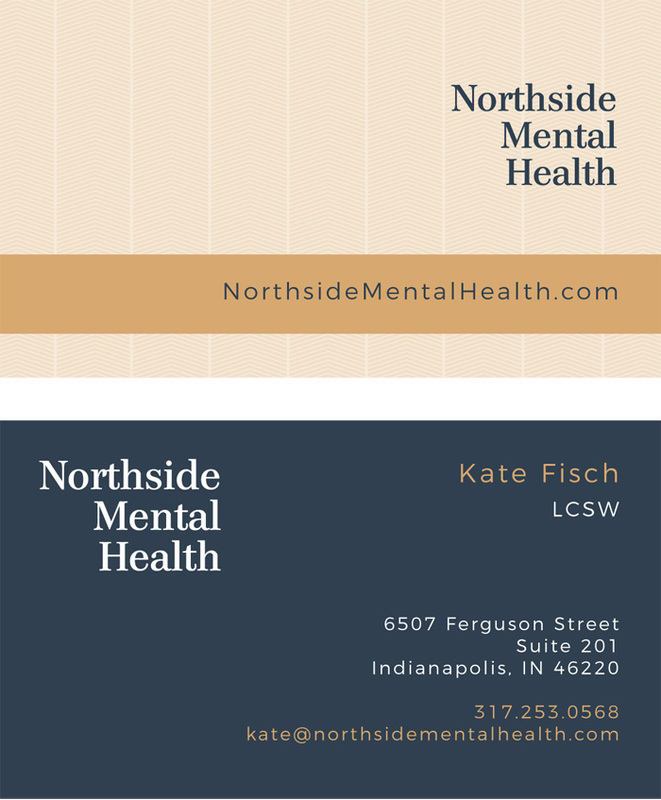 Our relationship with Northside Mental Health began back in 2013 when we designed and developed a new WordPress site for them. Fast-forward four years, and a lot has changed in terms of technology and design trends. Additionally, the information and features on the old site weren’t doing anything to engage existing or potential clients. The content – and site – had become stagnant. The new design evolved from a shift in clientele and the desire to appeal to both women and men. A more masculine color palette and imagery were incorporated as well as a nod to the mid-century modern aesthetic from the Northside Mental Health physical office space. 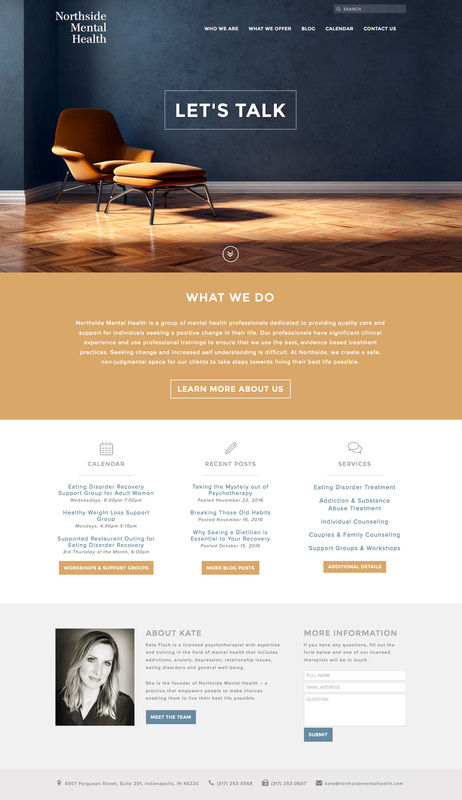 In addition to a design overhaul, the new site has a better format for the growing team of therapists as well as a blog for the staff to post articles. The other significant addition to the site is the calendar that lists upcoming workshops and group therapy sessions and the ability to register (and pay) for sessions directly on the site. The new site is responsive (meaning it’s optimized for any sized device) and is still integrated with WordPress, so the client can add, edit and update content with ease. The major design changes on the site prompted a redesign for their print materials as well, including their business cards. The previous cards had tree imagery on them that did not match the old or new site. The new cards (shown here) match the colors, fonts and overall style of the new site. They were four-color process printed on 16pt stock with a matte finish.